If you’re a Mercedes owner in Doncaster, skip the dealership – choose Ammstar for an affordable alternative to dealership servicing. Mercedes-Benz vehicles are chock full of high-end features and systems that combine performance with luxury. Servicing such a unique blend of different mechanical and electronic parts requires a special skill set most corner mechanics just can’t compete with. Want to skip the price hikes at the dealership? Own an older Mercedes that isn’t covered by warranty? Choose an independent Mercedes-Benz mechanic for service affordable service that doesn’t compromise on quality – choose Ammstar. Choose an independent Mercedes-Benz service centre! Please provide us with a valid vehicle registration number and model description, to ensure we can provide an accurate service cost. We will send you an email confirming the service cost, booking date and availability of loan car, generally in the same business day! 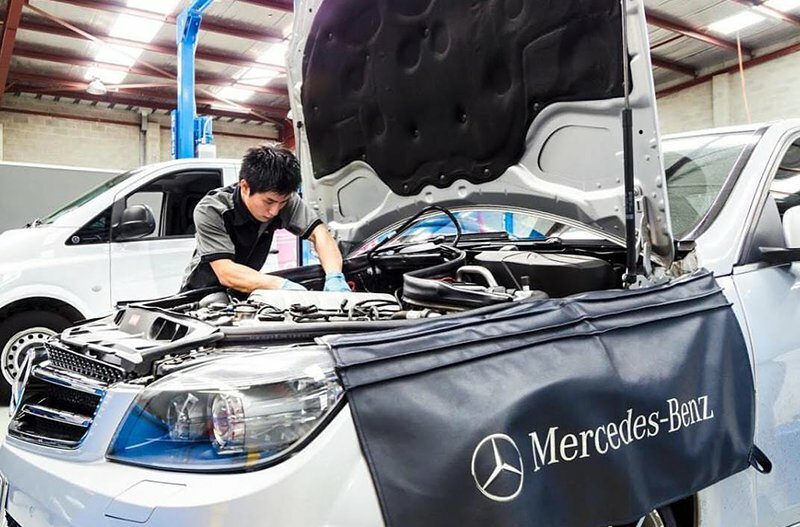 Why choose an exclusive Mercedes-Benz mechanic? 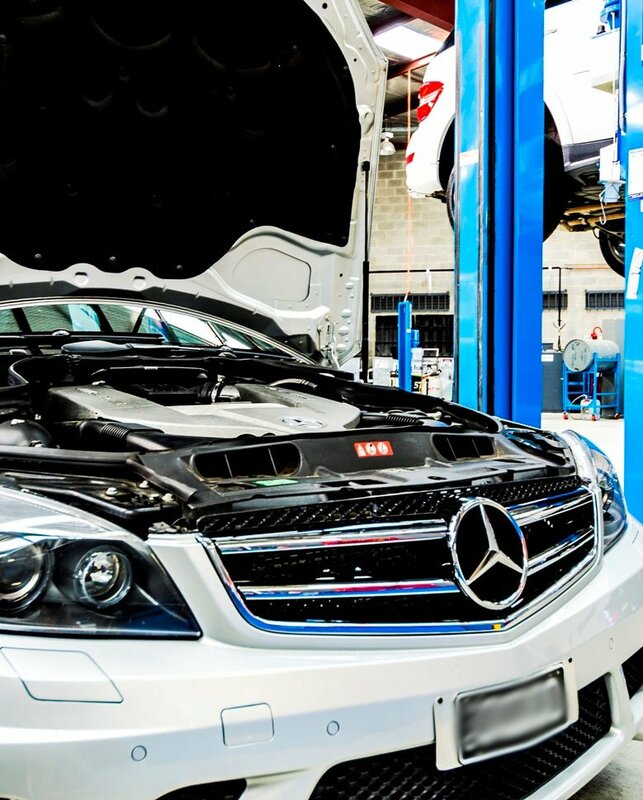 Our specialist mechanics work solely on Mercedes-Benz vehicles. That might sound strange. However, it has clear, undeniable upsides: namely, our team know what they’re doing! Ammstar’s team of specialist Mercedes-Benz mechanics know your Mercedes inside-out, from the synthetic oils that will keep your engine running optimally, to the software that powers your onboard GPS. 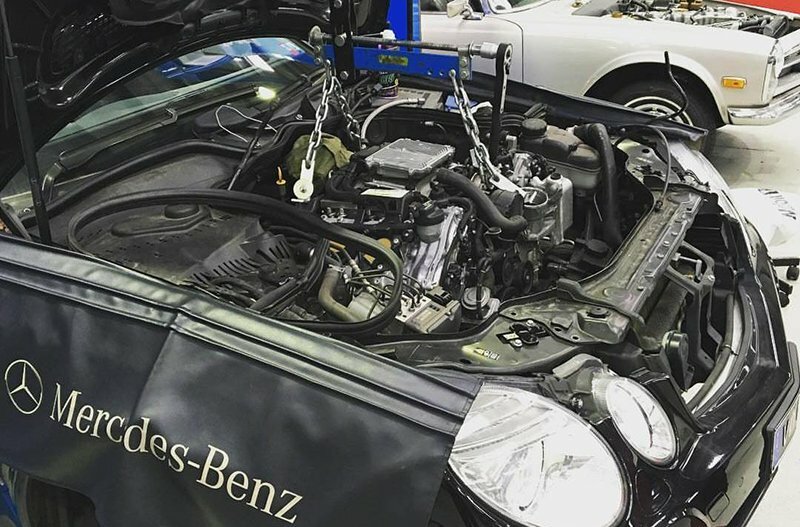 It doesn’t matter whether it’s a new-model CLS you bought to celebrate your new job or a 90s-era 500SE you’ve maintained lovingly: if it bears the three-pointed star, we can service it! Mercedes-Benz Service ASSYST ensures that when you come to us for service, you don’t need to pay any more than absolutely necessary. Your Mercedes-Benz features an onboard computer that monitors parts, systems and electronics for damage and wear. When it detects defects or faults, it adds them to your annual maintenance as additional services. This ensures that when you bring your Mercedes-Benz in for routine maintenance, you’re only paying for the services you need. Featuring all of the essential maintenance services your Mercedes-Benz needs to continue running, Service A is a basic service that forms the foundation of the Service ASSYST system. Alternating every second year with Service A, Service B includes everything in Service A as well as an in-depth computer diagnostic. This allows us to identify and provide service for systems and parts that only require periodic replacement. What’s involved in a Service C? That depends! Different models have unique maintenance requirements, and we also consider usage and age. 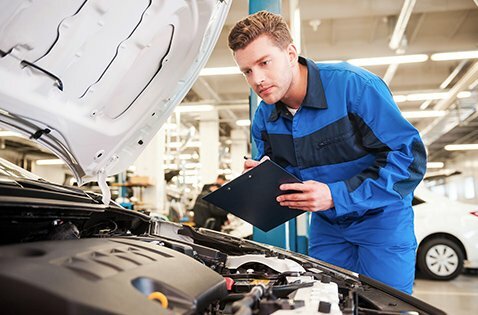 There’s a lot of variation here, which is why you should only entrust this type of service to a Mercedes-Benz specialist! Ammstar is Melbourne’s largest independent alternative to Mercedes-Benz dealership servicing! Our team of passionate Mercedes specialists operate out of service centres in Fairfield and Moorabbin. Please let us know what service or repair you would like done, and we will get in contact with you as soon as possible! Adding a valid VIN (Vehicle Identification Number) will help us provide an accurate quote.